The Midpeninsula Regional Open Space district doesn’t make the headlines very often, and it’s even more unusual to have a hotly competitive race for a seat on its board. The district was created by voters in a referendum in 1972 with the purpose of preserving the foothills from development. Today, the district manages 26 open space preserves in Santa Clara, San Mateo and Santa Cruz ounties comprising 63,000 acres of land. The district has 175 employees. Among its preserves are Windy Hill, Skyline Ridge, Russian Ridge, Los Trancos and Rancho San Antonio. The district has a seven-member board. The directors are elected from different wards within the district. One of the founders of the district, Nonette Hanko, has represented Ward 5 since the organization’s founding. Ward 5 includes East Palo Alto and portions of Menlo Park,Palo Alto and Stanford. Hanko, who is 86, is retiring and two members of the Palo Alto City Council are running to replace her. Karen Holman and Greg Scharff are leaving the council at the end of this year due to term limits. Both have served eight years, and both have been mayor during their time on council. In our view, both would make competent, well-informed additions to the Midpen board. The Post believes that Holman would be a better fit for this board because of her experience and interests. There are two arguments for electing Scharff. As a council member, he has served on the Bay Conservation and Development Commission, which restores wetlands, manages the bay, protects it from pollution and interacts with regulatory agencies such as the Regional Water Quality Control Board and the state Department of Fish and Wildlife. That would provide useful experience for a Midpen board member, an agency that deals with many of the same challenges. Scharff has also excelled on council in the area of city finance, a complex subject. Somebody with a strong financial background would be helpful for Midpen, which operates on a $103 million annual budget. It should be noted that 92% of the district’s budget comes from property taxes. The district also manages a $300 million bond measure approved by voters in 2014. The money is intended to protect more land, open preserves that are closed, construct trails, and restore and enhance forests, streams, watersheds and coastal ranch areas. We’re endorsing Holman, however, because of her advocacy on council for open space and the environment. 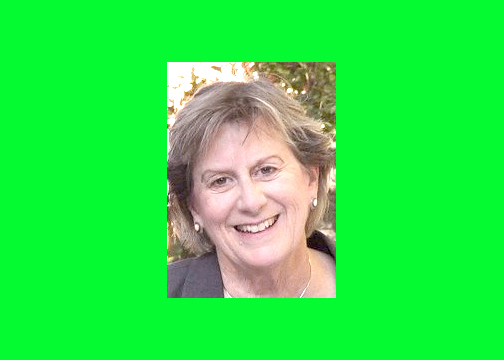 She co-authored a memo on council that led to the addition of 7.7 acres of Foothills Park, she lobbied for more appropriate tree-trimming cycles on city-owned trees, and she co-chaired the Midpen district’s Visioning Citizens Advisory Committee that led to the 2014 bond measure. All seven members of the Midpen board have endorsed Holman. And, importantly, Hanko asked her to run this year. Holman is simply the natural choice for this job. We do agree with Scharff about one thing, though. He’d like to see the district add more picnic tables and trash cans at the preserves open to the public. Hopefully the Midpen board will act on that suggestion. Thanks for endorsing Hollman. She’s clearly the best choice and the most supportive of open space unlike Scharff who’s a real estate attorney with a long and aggressive history of insulting anyone and everyone opposing his fast-growth agenda. For Scharff to be too busy to attend his meetings and sending Adrian “Build Baby Build” in his stead shows his contempt for the voters and the entire concept of open space. Karen Holman is a proven, diligent, dependable advocate for the environment. She is a perfect leadership fit for the beauty and serenity of our Open Space Treasures. Adding trash cans to the MPOSD preserves is an interesting suggestion from someone running for a position on the MPROSD board. Which possibly indicates a certain degree of unfamiliarity and previous disinterest in this organization. Adding the expense of staff time and vehicles to regularly inspect and empty trash cans in the many MPOSD preserves has not and should not be a priority for an organization that has to manage scarce resources efficiently as well as acquires additional space as opportunities arise. “Pack out what you pack in” is the expected norm and what visitors practice when hiking in our wilder places. Trash cans is an interesting suggestion. However, adding the considerable expense of staff time and vehicles to regularly inspect and empty trash cans in the many MPOSD preserves may not be the best use of scarce resources. Especially when resources are stretched pretty thin managing the numerous preserves and one of the goals is to acquire additional properties, especially for wildlife corridors, when the opportunity arises.